The Boulevard of Broken Dreams, also known as the Iditarod, has claimed it’s first victim. In the third night of the race, the first musher to scratch did so in Nikolai, Just 311 miles from the starting line. Each year, 60+ mushers invest countless hours, incredible resources and close to forty thousand dollars for the opportunity to run in what is called the Last Great Race on Earth. Some mushers invest everything they have and the race preparations consume them. Some lose jobs, husbands, wives, and homes–in the quest to fulfill a dream of running a thousand mile quest across the tundra and wind-swept landscape of the Great White North. Sure, some people just are not ready to take on the challenge and they quickly find out just days into the race that they are not cut out for this. Some scratch. Others mush on to soon find out that enough is enough and end their race before reaching Nome. Each year as we watch the mushers scratch one by one–many of us scratch our heads and ask why? For some mushers it is their dogs. It might be a busted up sled after slamming into a tree on the infamous Happy River Steps. It could be lack of planning or logistics. It could be the musher’s health or an injury. You will often hear of mushers wandering the trail dazed and confused after falling off their dog sled in a fit of sheer exhaustion. The dog team will trek on, leaving the musher where he stands. In a moment of terror the musher awakens and realizes what’s going on. “Where’s my dog team?” he cries and terror takes over him. His first concern is the safety of his dog team. The next is the safety of himself. The sportsmanship of the race often means that a another musher will come to the aid of the driverless dog team and will tie them down. Another will often pick up the wandering musher and carry him back to his dog team or the next checkpoint. The rules are clear on this and they allow a musher to catch a ride on another team’s sled or snow machine but it must be reported to the race marshal who may impose sanctions. This is only the case if a team is “driverless”. Rule 36 — Competitiveness: A team may be withdrawn that is out of the competition and is not in a position to make a valid effort to compete. If a team has not reached McGrath within seventy-two (72) hours of the leader, Grayling/Galena within ninety-six (96) hours of the leader or, Unalakleet within one hundred twenty (120) hours of the leader, it is presumed that a team is not competitive. A musher whose conduct, constitutes an unreasonable risk of harm to him/her, dogs or other persons may also be withdrawn. While shrouded in controversy, especially in recent years, this rule is a back-of-the-pack musher’s worst nightmare. If race officials deem a musher non-competitive, his Iditarod is done. His dream is over. At least until next year. Or will there be a next year? For many, this is a one-shot deal. They realize quickly they don’t have the resources, the support or maybe even the dogs to do the race again. You will often hear many of the elite mushers talk about a race for competitors and a race for those that just want to complete the quest. To fulfill the dream if you will. Will the Iditarod come to this? I don’t know. I hope not. I, like many, Iditarod fans give much respect for anyone who attempts this race and feel their agony when they scratch or are withdrawn. I often notice the smiles, hope, and and wide-eyed optimism at the ceremonial start and re-start of the race and wish them all well on the trail. 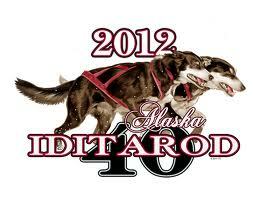 Previous Iditarod 40: How to they keep track of 1000 dogs?